Knights start with Basic Tactics and Basic Defense. Knight hero cost in Haven is 1500 Gold. Knight hero cost in Tavern, Preserve and Academy is 2000 Gold. 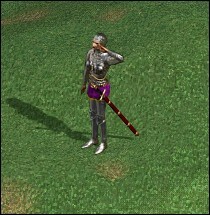 Knight hero cost in Stronghold is 2500 Gold. Knights cannot be hired in Asylum and Necropolis. Biography: Archimemnon was a poor fisherman when he was drafted into military service. He didn't mind fighting for his country, but it bothered him being away from the the sea for so long. Once he was released from his duty, he became an adventurer hoping to raise enough gold to build his own. Biography: During Erathia's restoration and the ensuing wars, Christian proved himself to be a loyal and valuable member of the military. He is a committed and organized commander who provides his service and adventurous spirit to any and all worthy causes. Biography: Dallas claims he is from another world, but he cannot explain how he came to this realm. He doesn't seem to be in a hurry to go back either. On the battlefield, he is a relentless and calculating commander who doesn't like to lose - even in simple games of chance. Biography: Dalt wanders the world aimlessly, dealing with life one day at a time rather than making plans for the future. Since no one can truly know whether or not today will be their last day, why not live as if there is no tomorrow? That philosophy emboldens him to take great risks on the battlefield. Biography: Laine almost became a priest, but his father convinced him to become a soldier in the Erathian military instead. As the eldest son, it was expected of him and he always does his duty. But to this day, he still regrets his choice and feels a spiritual emptiness inside. Biography: War dragged Marcius out of his mundane life as a farmer and into the exciting career of a soldier. Later, he was knighted and spent many years fighting in Queen Catherine's army, never complaining. What's a little hard work when you get to participate in some of the most exciting. Biography: Mardigo believes in taking the battle to the enemy, no matter the odds. Anything less is cowardly. This attitude has brought him many incredible victories over the years, but his tragic failures have been just as remarkable. Biography: Mullich is a stoic, disciplined leader who keeps a keen eye on everyone under his command. He is highly respected for his experience and ability to encourage each man to perform beyond even their own expectations. But when he joins his men in a tavern, his quirks become all too apparent after a tankard or two. Biography: Nathaniel is the first to admit that he was an arrogant snob until he was given command of a small unit along Erathia's borders. For two years, he protected the commoners from Barbarian invasion. He learned humility during this time, and he learned just how strong a peasant can be. 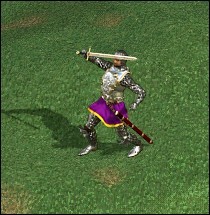 Biography: Orrin is a veteran of the former Erathian army, where he specialized in commanding sieges. He's an endlessly patient man who keeps in mind the lives of his troops first when he makes a combat decision. "Never waste a life needlessly," he often says. "And never act before you're ready!" Biography: Oyssin was raised by his father, a woodsman who many considered crazy because he forced his child to hunt his own food and chop all the firewood. But Oyssin's father also taught him to respect the land and to protect it. All who fight alongside Oyssin say there is no better friend, as long as you overlook the occasional eccentricity. Biography: Rex Mundi had few interests as a child, so a knight's life seemed as good a career as any. However, under the guidance of his commanders, he soon learned to enjoy the discipline. Now, this veteran often trains young recruits, giving them some direction just as the military did for him. Biography: Valoryn is an experienced knight with unwavering nerve. He has stood before a charging force of behemoths, his courage inspiring his comrades to do the same. But he is also notorious for being cautious, sometimes overly so, especially when he has to give the order to attack. Biography: Zambu was a simple pigeon-handler for the Erathian military until a band of ogres ambushed Queen Catherine's camp. When Zambu realized the Queen was surrounded, he picked up a fallen sword and came to her defense. He became a hero that day, but unfortunately he has been forced to live up to that fame ever since. Biography: Araja arrived in Palaedra with a retinue of servants. Many believe she's a princess from a far off land, although Araja refuses to confirm or deny such rumors. She's a haughty woman prone to giving orders, but she has proven herself to be a formidable commander as well. Biography: Few leaders earn as much loyalty from their troops as Equila. She is a bold commander who always leads from the front, and her pre-battle speeches are legendary. Although her soldiers love her, none of them truly knows the woman beneath the armor. Biography: Having a keen interest in mechanisms of all types, Frini had high hopes of becoming a wizard. However, when she discovered she had no talent for magic, she joined the military instead. At least now she can study the designs of ballistae and castle fortifications, both of which fascinate her greatly. Biography: While the other girls of noble descent were practicing embroidery, Gail was running off to the stables to groom and feed the horses. As soon as she was old enough to enlist, she joined the military against her father's wishes, so he legally removed her from the family. Biography: When Julia first became a knight, she didn't get many opportunities to use a sword. Instead, her commander put her organizational skills to great use by having her manage the supply lines. For years, she fought for reassignment, and when she finally got the chance to enter battle she was startled by its shameless horror. Biography: Mierna met her fiance during combat training and instantly fell in love. They were to be married, but he was cut down in a skirmish with some of Kilgor's Barbarians. Today, she keeps mostly to herself as she pursues her career with single-minded commitment. Biography: For years, Olwa trained the young boys in swordsmanship to prepare them for a career as knights. Her students always received the highest honors and went on to become heroes of great renown. Now that every sword arm is needed to tame this new world, it is her turn to make a name for herself. Biography: Sigrid has a level of commitment to her cause that frightens even those who have similar beliefs. Perhaps it is the way she charges headlong into battle without a care for herself, or the way she must win every argument. Needless to say, this abrasive woman has few friends and many enemies. Biography: Following Queen Catherine's example, Sorsha joined the Erathian military and quickly proved herself to be excellent with the sword. Since Erathia's fall, she has searched for another kingdom that puts justice and honesty before anything else. Biography: Tamara is respectful and kind, thoughtful in everything she does. She might have sought an academic life if she hadn't been dragged into military service by her twin sister, Thera. As long as her sister is out there risking her life, Tamara will remain nearby to protect her only family. Biography: Thera is wild, brash and outgoing, an opposite to her twin, Tamara. Ever since she was a child, she would fight just about anyone, especially if she had a chance to stick up for someone who couldn't defend themselves. Today, she still has a soft spot for the underdog. Biography: Tyris has a strong competitive spirit, which serves her well in jousting contests or other games. But she fears losing so much that she will sometimes act brashly in an effort to pull victory from defeat. So far, this risk-taking has worked for her, but some day her luck will run out. Biography: Verdish nearly perished when a dragon attacked her village. Fortunately, a great healer cured her injuries. Later, that dreadful experience prompted her to become a knight so she could learn to protect herself. Still, she is plagued by nightmares of that fateful day, and remains obsessively conscious of the scars beneath her armor. and to The_Hydra (Heroes 5 Content Admin, Heroes Community Moderator) for HTML processing.